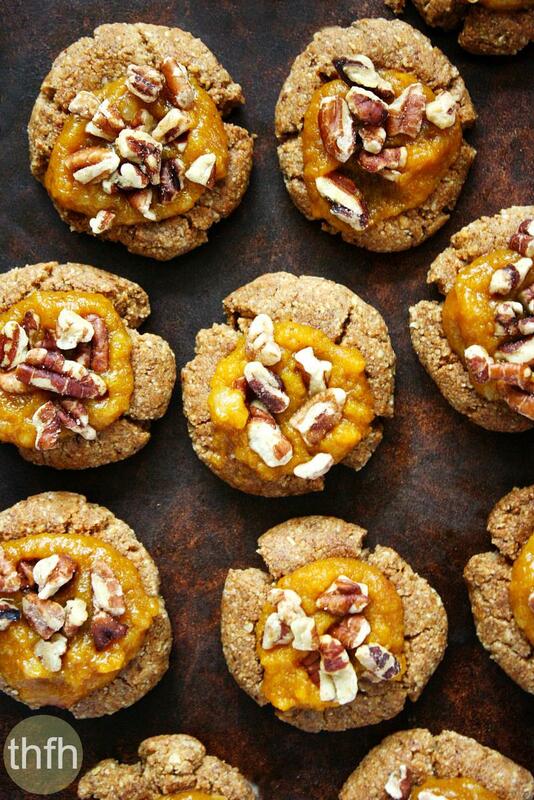 These Clean Eating Gluten-Free Vegan Pumpkin Spice Thumbprint Cookies taste as good as they look! I based the cookie off of a thumbprint cookie recipe in my Clean Eating eCookbook (which you can buy here) and filled the middle with a pumpkin spice filling and covered it with pecans. 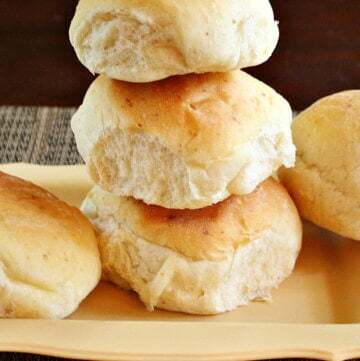 They’re ready in about 30 minutes or so, including assembly, and will make a nice presentation on the dessert table at your next holiday family gathering. Ingredients: Flour Enriched Bleached, (Wheat Flour, Niacin Vitamin B3, Iron Reduced, Thiamine Mononitrate Vitamin B1, Riboflavin Vitamin B2, Folic Acid Vitamin B9), Vegetables Shortening (Soybeans Oil Partially Hydrogenated, Cottonseed Oil Partially Hydrogenated), Sugar, Corn Syrup, Pumpkin Puree, Corn Syrup High Fructose, Dextrose, Molasses, Water, Butter Dairy, Salt, Baking Soda, Eggs, Spices, Corn Starch, Sorbic Acid, To Preserve Freshness, Flavors Artificial, Whey from Milk, Eggs Whites (source). 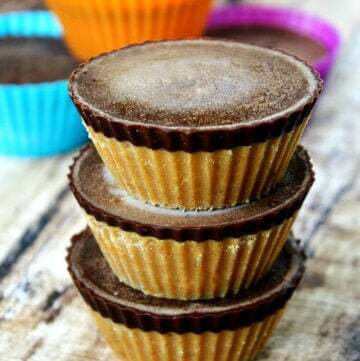 They are filled with bleached flour, GMO ingredients (soybean oil, corn syrup, high fructose corn syrup, corn starch, etc), artificial flavors and dairy (eggs, butter, whey). 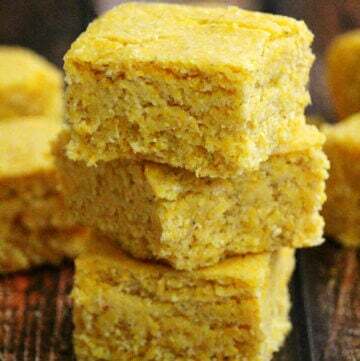 Even homemade recipes are just as bad, containing typical ingredients like: 1 package yellow cake mix, 1/2 cup quick-cooking oats, 2 tsp pumpkin pie spice, 1 can solid-pack pumpkin, 1 egg, 2 tbs canola oil, 3 cups confectioners’ sugar, 4 tbsp orange juice. 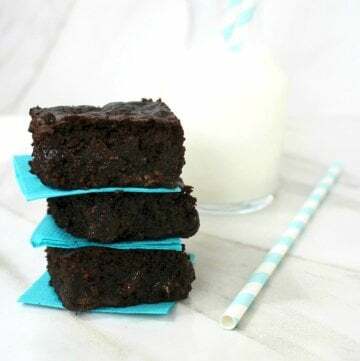 Ingredients: Flavors Artificial, Baking Powder, Flour Bleached Enriched, Cellulose Gum, Dextrose, Corn Starch, Diglycerides, Wheat Starch Modified, Monoglyceride, Vegetables Oil Partially Hydrogenated, Polysorbate 60, Propylene Glycol Mono and Diester, Red 40, Salt, Sodium Phosphate, Soy Lecithin, Sugar, Whey Protein Concentrate, Xanthan Gum, Yellow 5 (source). 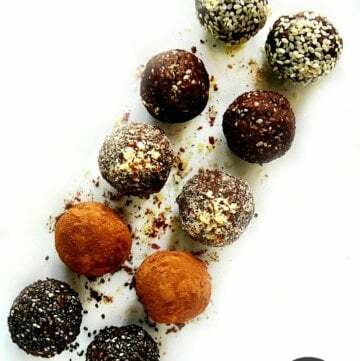 This healthier version is vegan, gluten-free, grain-free, flourless, dairy-free, egg-free, paleo-friendly and contains no refined sugars. Want more healthy dessert recipes? 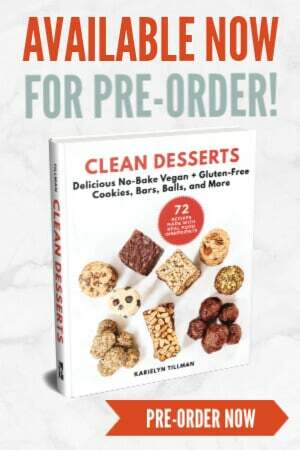 Check out Gluten-Free Vegan Peanut Butter Chocolate Chip Oatmeal Cookies, Flourless Chocolate Fudge Mint Cookies, Gluten-Free Chocolate Chip Pumpkin Oatmeal Cookies or my Clean Eating eCookbook with an entire chapter of 20 healthy, clean eating dessert recipes just like this one that you will love! Step 1 Add all ingredients for the cookies to a medium sized bowl and stir until well combined. 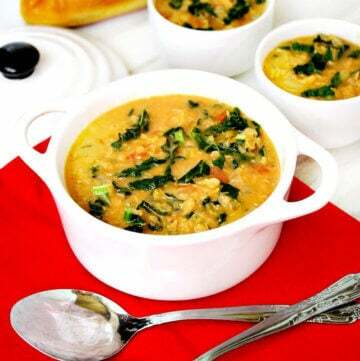 Take out a spoonful at a time (about a tablespoon), roll them into a ball, then flatten them into a disk shape. 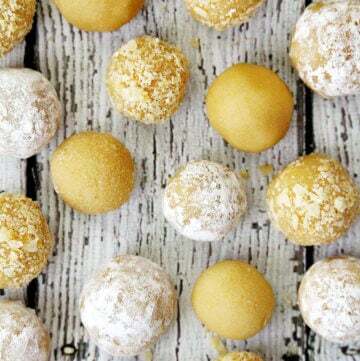 Put them on a baking pan lined with parchment paper, then make a "thumbprint" in the center of each cookie (make one going from left to right, then another going up and down). Bake them at 350 degrees for approximately 15 - 20 minutes, or until they are golden brown. Keep a close eye on them so they don't burn. Remove from oven and let them cool completely before adding the filling. Step 2 While the cookies are baking, add all the ingredients for the filling to a small bowl and stir until they are well combined. Adjust the spices and/or sweetener to your preference. After the cookies have cooled, take a spoonful at a time and fill the center of each cookie. Sprinkle the tops with the chopped pecans. This recipe will make approximately 18 small cookies. 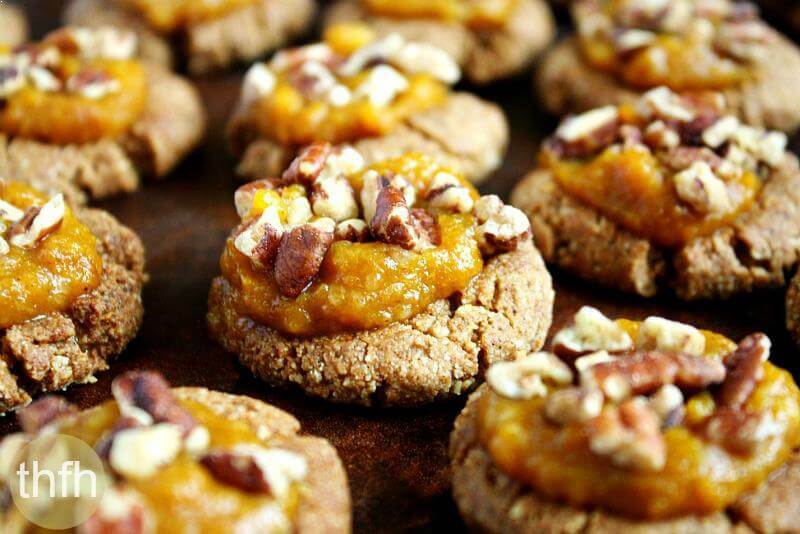 The recipe and photographs for "Gluten-Free Vegan Pumpkin Spice Thumbprint Cookies" by The Healthy Family and Home are licensed under a Creative Commons Attribution-NonCommercial 4.0 International License and cannot be used without my written permission. Thank you for the inspiration. Always looking for ideas for my personal chef business as most of my clients want alternatives to the packaged junk, as do I. Do you know the best way to store them? I am thinking just air tight container since no dairy but wondering if you have a recommendation that keeps them tasting best? Hi there Lisa! Mine never last long enough in my house to worry about storing them lol! but a BPA-free air-tight container is what I would use to store them. And, you do not need to put them in the refrigerator either. I love that you included the ingredient list for the store-bought brands….really sheds light on how much artificial ingredients there are! Hi there Jess! Hmmm…I’m not sure how regular all-purpose flour would work…or even if it would. Maybe you could try making a half batch and see if it works. 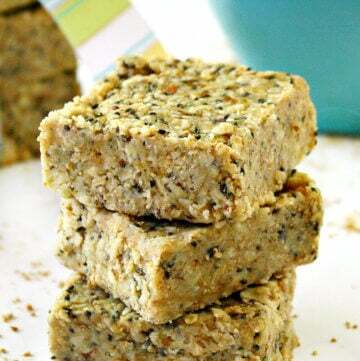 Or, you could try to use cashew flour if you have some raw cashews at home. Just put them in a food processor and process them until they turn into a flour. These look like the perfect little bites of pumpkin pie goodness! Thanks for the inspiration.